Living Proof Perfect Hair Day is NOT my perfect hair day. My hair is naturally like a lions mane. It's wavy/curly, really tangly, super thick and just big. I usually don't let people see my hair natural because it's just a mess and I don't like it but I had to wear it down this day at work just to test out the product. Here I am heading into work. I had washed my hair and applied the product the night before and put my hair in a braided bun to help the product do it's magic waves. 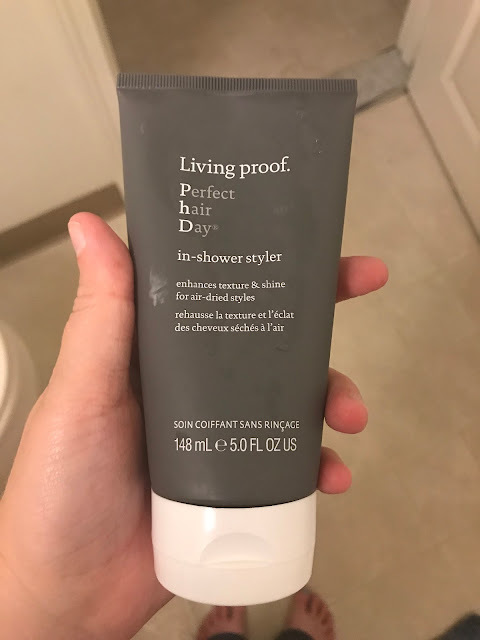 My hair has natural waves anyways so this product didn't really create that for me. It just made my hair feel super dry and tangly. You can see towards the back of my head my hair looks really tangled. It was and I absolutely hated having to leave my hair like this all day. Never again! So this was a flop. Such a bummer but at least now I know and hopefully can save you from buying this product!